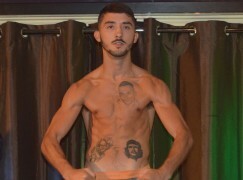 Merthyr Tydfil’s middleweight Kerry Hope (20-6, 1KO) is looking to kick start a new chapter of his career with a Welsh title win when he challenges champion Frankie Borg (8-2, 3KO) on Friday. The pair, who used to spar on the Welsh amateur squads 10 years ago, meet live on Eurosport (Sky Ch. 410) in Hope’s hometown at the Merthyr Leisure Centre tomorrow night and he can’t wait to fight in front of his home fans. Hope said, “It’s a boost to box back at home in front of my home crowd. I’ve got all of my supporters coming, I’m normally on the road and they travel with me, so this is cheaper for them and I appreciate them coming out in their numbers to see me. “He is coming to my backyard. Okay, he’s coming as a champion but I’m coming down in levels which are way above him. I’m not being disrespectful in saying that but it’s true. He’s a decent boxer and he’s tough though, so I expect a good fight. “I’m in my tenth year as a pro now but before that Frankie was an amateur team mate of mine. We travelled everywhere together, he’s a good guy away from the boxing and everything but boxing is a cruel sport and we have to put the friendship to one side.” It was at Friday’s venue where Hope suffered heartbreak in 2009. 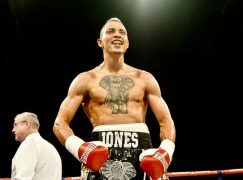 In a challenge for the vacant Welsh light-middleweight title against Taz Jones, a head clash saw Hope defeated via Technical Knockout. The British Boxing Board of Control’s old rules stated that if a boxer was cut, even by accident, and couldn’t continue then he lost and Hope’s wary of any more slip-ups like that. “I can’t afford any slip ups, I don’t want any hiccups here. 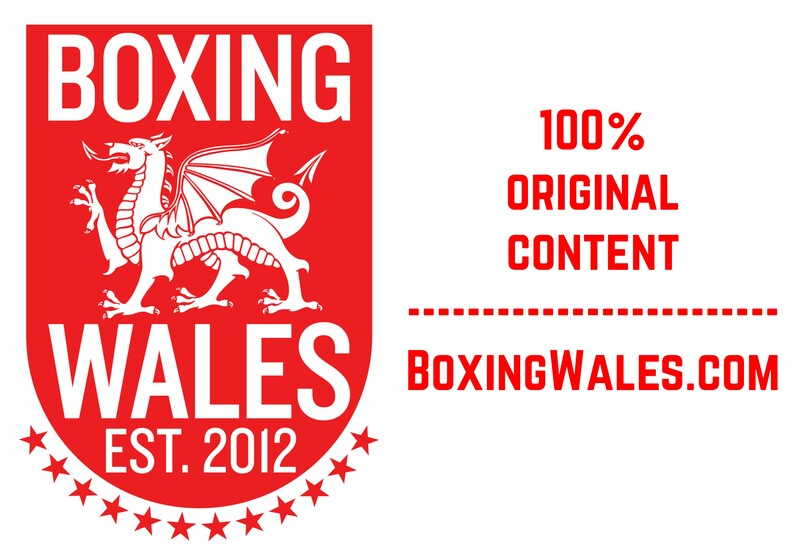 It’s a Welsh title fight and I’ll be very proud to win the Welsh title, I’m a proud Welshman. “I’ve moved up to ten and twelve round fights now, I’m a title level fighter, so I’m happy to be in a fight with longer rounds and I’ll progress. I’ll come through this and go on to bigger fights.” “I’m prepared for a tough fight, whatever he brings. 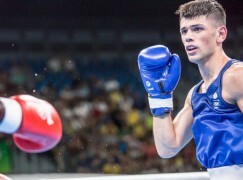 At the end of the day, I’ve trained hard and I’ve got a good engine as everyone knows and I’m just looking for a high pace and fast fight.” Merthyr Tydfil has produced many of Welsh boxing’s greats such as world champion Howard Winstone, the legendary Johnny Owen and European champion Eddie Thomas. Being a proud Valley native, Hope has always been honoured to play a small part in the town’s boxing history. 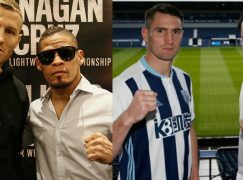 It is almost two years to the day that Hope won the European title and in an effort to rekindle the form that saw him shock one of the then world’s most feared, Gregorz Proska, the Welshman has re-linked with trainer Karl Ince at his Bolton base. He said, “There was a Welsh title we were supposed to be going for two years ago against Gary Cooper but the European chance came up and understandably, we went for that and it paid off. Now I’m back with Karl, he brings out the best in me and you’ll see it Friday night. “We left on good terms, he understood why I did come home to train, it was for family reasons but boxing is about sacrifice. I’ve made so many through the years, 20 years worth, what’s a few more sacrifices going to do? I’m not coming through the beginning of my career, it’s coming towards the end really. It was announced earlier this week that Hope will face Brighton prospect and son of a former world champion, Chris Eubank Jnr (13-0, 8KO) on April 12th at London’s York Hall. However, the willing Welshman says that he is up for the fight but is yet to officially agree to it. Hope said, “Nothing has been put to me, Frank Warren tweeted that it’s on though. I’ll agree to the fight, I’ll fight him anywhere and anytime but these promoters think they can have a hold on you, tell you who you’re fighting, when you fight but not to me. I just speak to my manager (Steve Woods) and see what he says. “Someone has got to upset the applecart, haven’t they? So, I don’t see anyone better to do it than me. I would raise my game to levels I’ve never performed at because everyone wants to see Eubank Jnr get beat. “With the ego he’s carrying around with himself, I really want to (see Eubank lose) as well and being the man who could actually do that… well, I would be like measles all over him and he wouldn’t get me off. “You can’t deny he’s decent, he is alright and he’s got a good uppercut, sharp shooter. I work at a high level, high work rate, fast pace and I’m fit, so lets see if he can handle that.” Tickets for ‘Welsh Pride’ are priced at £30 for unreserved seating and £60 for ringside seating. To buy tickets, contact Sanigar Events at the Bristol Boxing Gym base on +44(0)1179496699.